Hello and happy Monday! So for the past so many Monday's this year I've had informative posts and I've really enjoyed doing them. So I thought why not continue them. 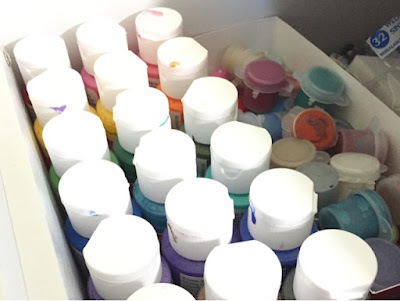 If you missed out on any last week was Desktop Must Haves and the week before that was Nail Care Favorites you can get to them by clicking on their names. 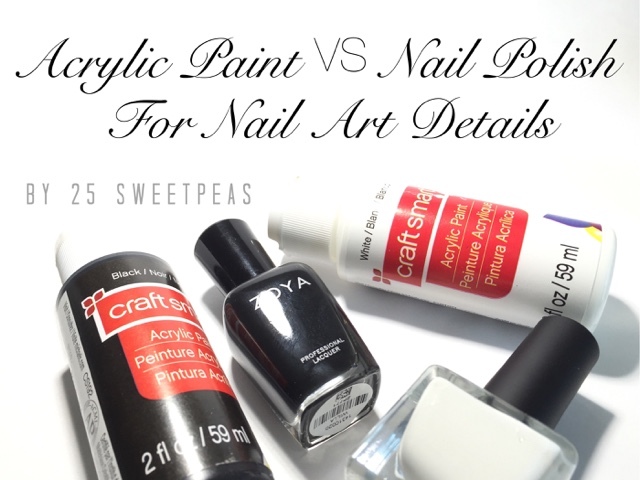 This week I thought it would be good idea to talk about why some use acrylic paint to do art on nails verses using nail polish. Most often if you're seeing detailed art on my nails I am using acrylic paint unless I say other wise. Acrylic paint is much easier to work with when it come to fine lines, details, and anything free handed. Also it won't ruin your brushes. If you put nail polish on a regular paint brush most likely your brush will never be the same because of the way you have to clean the brush. Before I realized I could use acrylic paint I went through many brushes and now I know that, I get to use the brushes repeatedly and they are still nice. When you put nail polish remover on a brush it tends to stiffen up and clump together. Now I am sure there are some special bristled brushes that you can get but chances are you will have to pay much more for them. So why not use acrylic paint. When you dab out some polish you end up wasting so much. 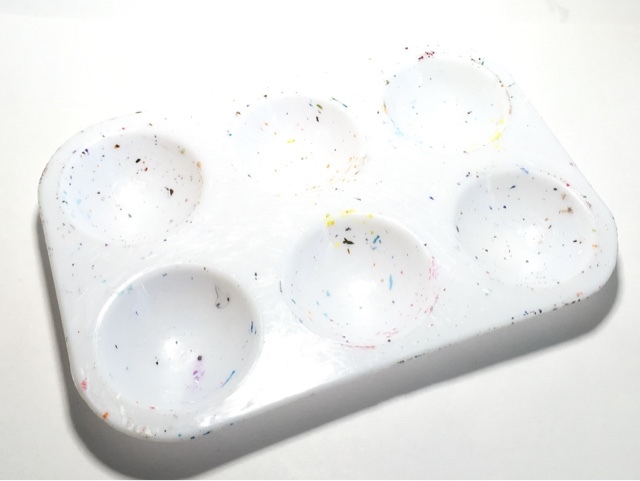 While you are using it, it just sits there and starts to get goopy, and then when you go back to load your brush again it's too goopy. So you pour more out and that whole cycle just starts over. 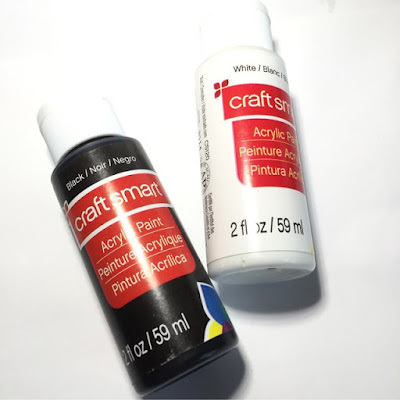 Squirting out some acrylic paint and having it sit there while you are using it you can still go back to load the brush and it will still be useable. Also with acrylic paint if it does start to get goopy you can add water to bring it back to life. Another thing is that if you are using acrylic paint you have more freedom to mix your own colors and or purchase every color imaginable. Another great thing is most often they cost less than a dollar too. Along with that, most craft stores have a coupon you can use as well so it makes it even better. In the drawer next to wear I paint I have my acrylic paints. Some in bottle and some in little pods. I prefer the bottles now just because they are easier to work with in my opinion although I do have metallic ones in the pods and I love those! I got a full set of your basic colors to get started and I have been adding when I think of something. Really though with a full basic set you can mix what ever color you need. I think my most used colors are black and white! I have 2 of each so I don't run out because they are just so great to detail with. What is the brand of paint you find works best for you when painting on the nail?